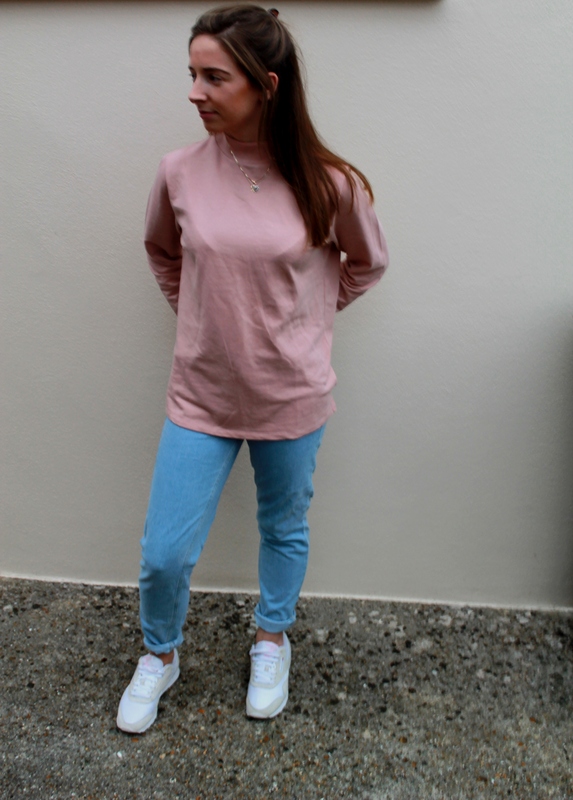 This outfit has taken a different turn from Autumnal colours as I have gone with light pinks and light blues. Who doesn’t like a comfy day? You can turn that basic outfit from casual into a stylish one as well. 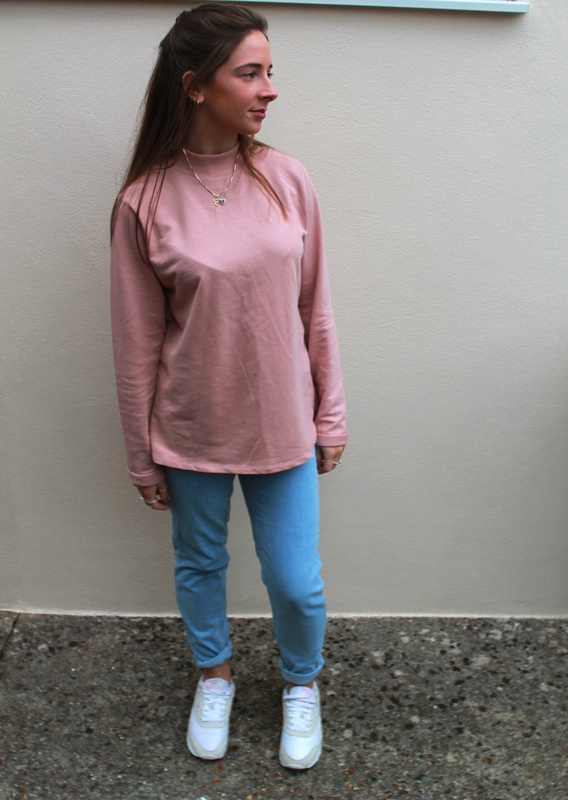 Choosing a pair of mom jeans worked perfectly with a pale pink jumper. 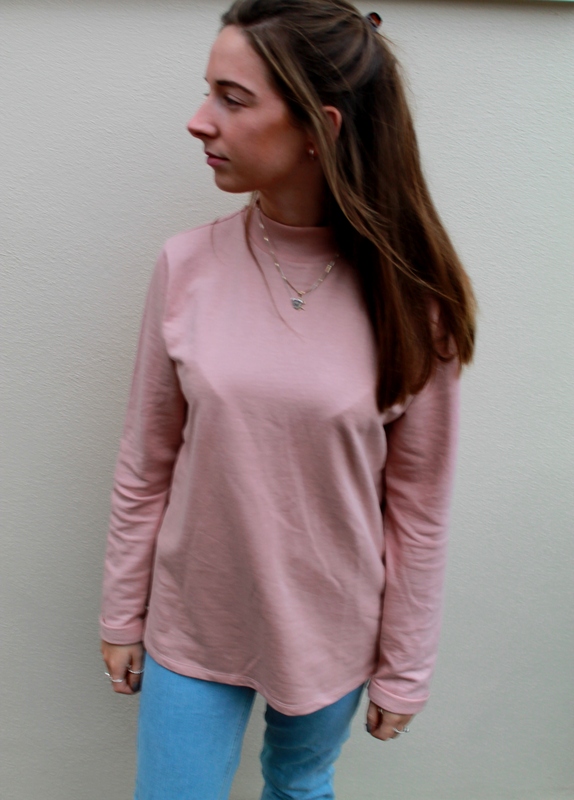 I don’t usually wear pink but this high neck sweatshirt was an instant buy off Asos, as you may know from previous posts that high necks are my favourite style of top and I will be filling my cupboard with them this Autumn. 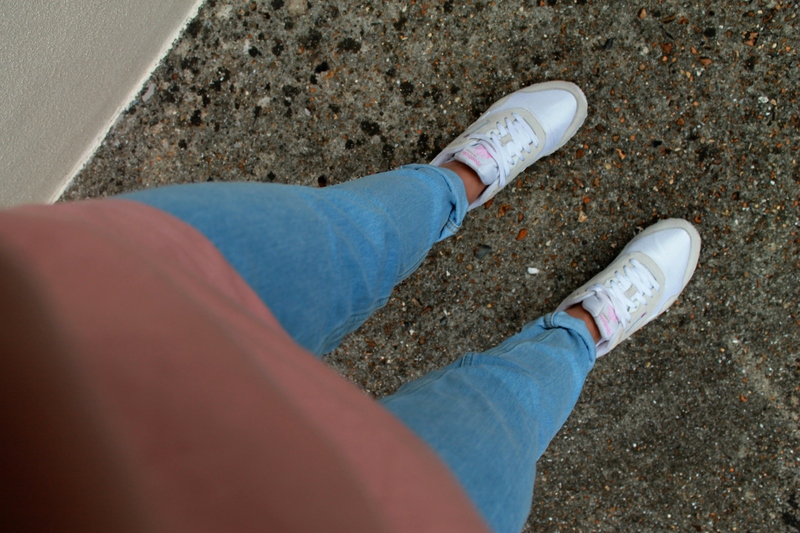 The best shoes to pair with this outfit are trainers so I’ve chosen a pair of Reebok Classics which fitted well with the pastel colour theme, plus they are possibly the comfiest shoes I own! This outfit’s so minimalistic but works so well and to finish the outfit I chose to coat my lips with Mac Pink Plaid. Details of the outfit are at the bottom of the post.